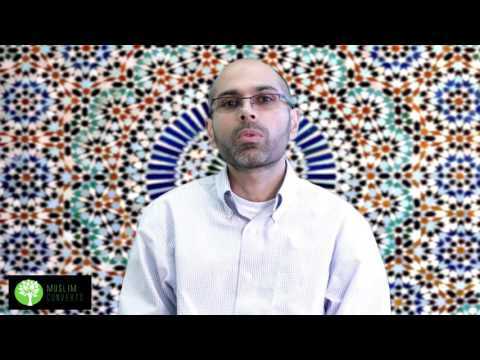 Welcome to the Muslim Converts Channel. In our previous lesson, we looked over the concept of Tawhīd in Islam. Tawhīd is, as understood by Muslims, is the Absolute Unity, Oneness and undivided nature of God. In this lesson, we will look at one of the most essential attributes of God in Islamic theology called ʿadāla, or Divine Justice. Our first step will be to look at it from a theological perspective, namely what it means for God to be “just.” Second, we will look at it from an anthropological (human) perspective, that is, what are the implications of Divine Justice for individual persons and humankind as a whole. Tawhīd implies that God, in His absolute unity, is completely perfect and devoid of any faults. By faults we mean shortcomings like ignorance and need. The God of Tawhīd is Absolutely Unique and transcends all forms of limitations and imperfections. He is perfect in every sense. This means that He is absolutely self-sufficient, He is in need of nothing and no one, He is all-knowing (that is, He knows everything) and is All-Wise. Evil, according to Islam, is the product of a defect, ignorance, and need. God in Islam, in His perfection through tawhīd, is devoid of evil. People often commit evil deeds because they need or are lacking something. As a result, we see them trying to satisfy their own egos or their need for revenge. Or we see them pursuing power which they are lacking, or aim for purposeless pleasure. Sometimes they do so because of simple ignorance and foolishness. God in Islam is also known by his attribute al-Ghanī (the self-sufficient) meaning that He is fully rich in Himself and needs nothing. He is also al-ʿAlīm, the All-Knowing. He is also al-Ḥakīm, or the All-Wise. The combined result is that He is not ignorant, foolish or in need or lack of anything. So here we can conclude that He cannot commit evil by the very fact of His own nature. As He is devoid of all evil, He must be Absolutely Good and Just. Divine Justness in Islam (which stems out of God’s perfect Goodness) is called ʿadāla. ʿAdāla in Arabic literally means to keep a form of balance in weight. In His treatment of humankind, Allah makes ʿadāla obligatory upon Himself and therefore always acts within goodness and justice. This means that He never wrongs His creation. For example, Allah is the ultimate Judge of deeds on the Day of Judgment. On that Day, God will establish justice and will not punish people with more than what they deserve. Yes, He may punish them with less than what they deserve out of His Absolute Mercy (for His Mercy takes precedence over His Justice) but He will never punish someone more than what he or she deserves. But the ones who truly trust in God and do righteous deeds; We will admit them to gardens in which rivers flow beneath where they will live in forever. [This is] the promise of Allah and [it is] truth. And whose word could be truer than God’s? (Chapter 4, verse 122 of the Holy Qur’an). In order for all of existence to reach the Absolute Good, everything needs to be held at a perfect balance. Just as the balance of the nuclear force or the balance between matter and antimatter in the universe is essential to sustain it, there is a moral balance that must be observed among human beings. Any transgression from this balance of justice leads to corruption. According to the Ahl al-Bayt (as) or Holy Household of the Prophet Muhammad (s), good, bad, evil, justice, injustice all have intrinsic worth. Goodness and justice are not moral notions that God arbitrarily decides on. Goodness (which justice stems from) is part and parcel of Allah’s own essence. This means that whatever God creates, and whatever moral worth there is in creation, it is the expression of God’s own essence as the Absolutely Good. Notions of good, evil, justice and injustice are therefore not arbitrarily decided nor are they subjective. For this reason, human beings cannot ultimately decide what is just and what is not. They cannot invent them for themselves and apply them to the world. Just as idol worship is tāghūt, so is trying to act like God and set the ultimate terms of morality and justice. God, in His All-Knowing and All-Wise nature, set the balancing terms for justice for us, any transgression of this balance will lead to corruption, both within the heart as well as in the person's conduct in the world. Evil, according to the Qur’anic narrative, is always a product of “transgressing boundaries” and hence going out of the bounds of justice. The Qur’an says: those who have true faith fight for the cause of Allah whereas those who knowingly reject the truth fight in the cause of the tāghūt. So fight the friends of Satan. Indeed, Satan’s guide is weak! (Chapter 4, verse 76 of the Holy Qur’an). The Good is that which leads human beings to salvation in the Afterlife. Evil is the absence of Good, it corrupts the heart, corrupts one’s beliefs and actions, and ultimately leads people to damnation. Why does transgression of the balance lead to corruption? The world is carefully designed, and there are special boundaries put so that people are led to salvation in the Afterlife. Transgression from these bounds means that one deviates and goes the wrong way. The wrong way leads to corruption. Why does Allah make justice obligatory upon Himself? Because Allah, in His nature, is good, and justice is the result of God’s good nature. Because He allows free will, without free will, there is no real good or evil.